Rider: Nico Ostermann – Location: Alameda Crown Beach, California – Foiling ability: I can foil everything, can jibe (not foiling though, at least not yet), can tack too but not as regularly as jibing (but getting there and not foiling). so i guess I categorize myself as your average foiler. The F-One FOIL offering is large, VERY large and the combinations can be many. That said, since last year the 90/800 (90 for the length of the mast in cm, and 800 for the area of the front wing in square cm) was our go to set for beginners to intermediate foiler, a foil you could grow into. And that is still the case, the 800 wing is more performant than the vast majority of beginner’s wings on the market. I learned on a 600 wing, which is faster than the 800, and not as easy to control. 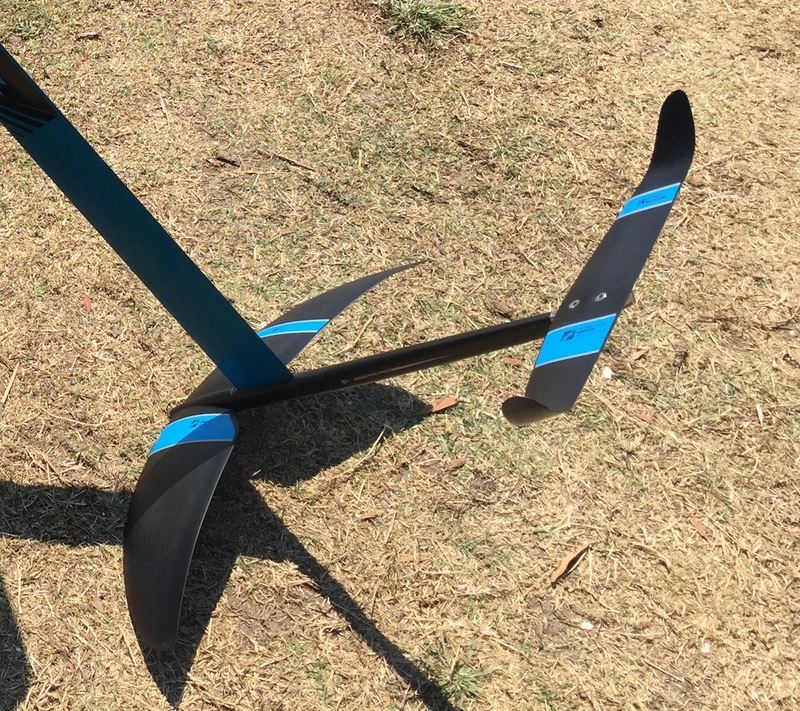 Now, with the development of the SUP Foil and the introduction of bigger wings, we realized that the 1000 wing, that was initially developed for SUP Foil could actually work real good for kiting too. 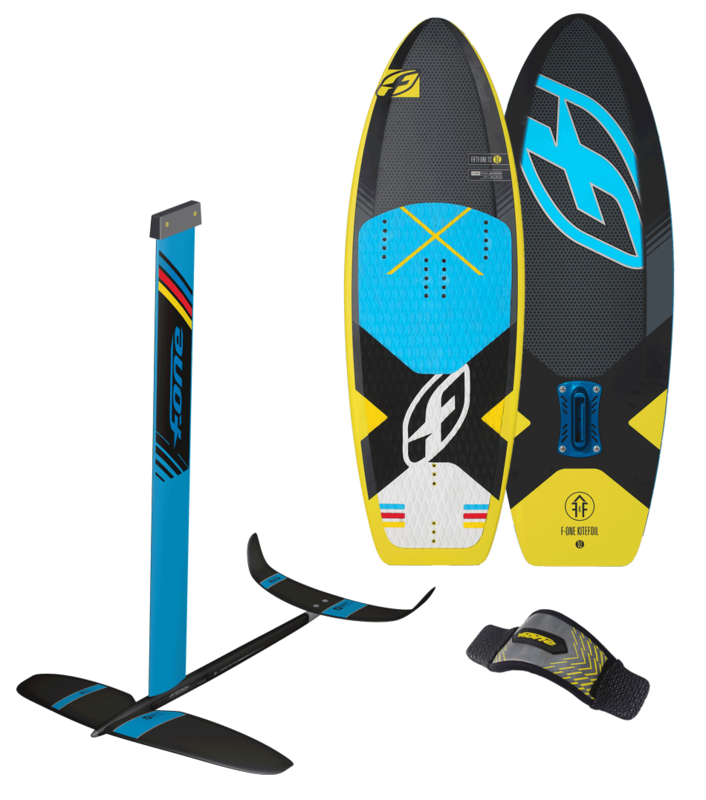 So this is the set I really wanted to try, the 90/1000 paired with the new 51 TS foilboard. And to do that I went to my favorite place to foil in the Bay Area: Alameda at high tide with wind between 12 and 15mph and a 11m BREEZE kite 11m (hands down best kite to foil). I could have used it on a 75 mast as opposed to a 90 (or even a 45 that schools used) but I didn’t have a 75 with me at the time so i went with the 90, which you see on the pic. I can tell you right away that the 1000 is the BEST WING to learn on from F-One. No questions about it. 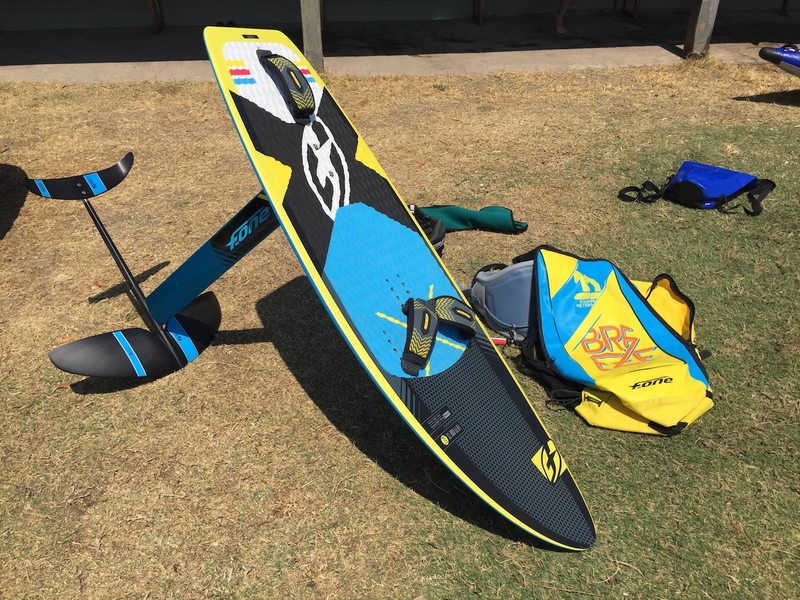 You go up foiling very quickly, and you stay up without abrupt down moment, it’s very forgiving and the ride is super stable. I had tons of fun because I could try things i would normally not try with a faster wing. Turning is wider than with a 800 or 600. You can still go quite fast. I highly recommend it. I also paired the foil with the new 51 TS foilboard. Board is made like a Twin Tip, the graphics are beautiful. Shape is similar than our 5’1, with a lot of real estate under your feet. 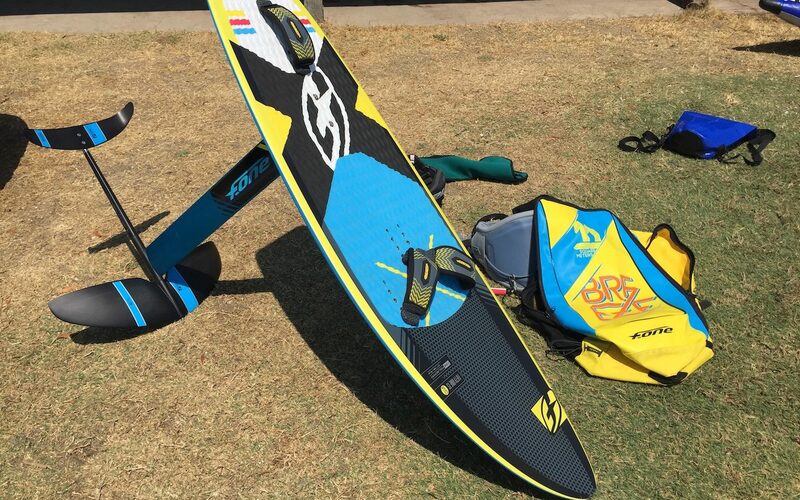 It’s heavier than a fiber board such as our 5’1 series, but it’s bomb proof since it’s built like a TT. Give and take. So if you crash, and every foiler crash (pretty hard), you can’t ding it. Having less volume than the fiber makes the transitions a bit trickier since the board can sink a bit faster if you lose too much speed when jibing. But at the same time, it’s easier to put the foil on its side during water start, and keep it on the side, which is one of the hard thing to do when you learn how to foil. The TS is also cheaper and comes with a plate adapter. We have some FOIL packages with the 51 TS and it’s a great combo to start with.